1.Prosper John DE MESTRE. Born on 29 Dec 1821 in De Mestre House, Cnr Elizabeth & Liverpool Sts., Sydney, NSW, and was baptized on 13 Feb 1821. Prosper John died at "Millbank", Shoalhaven River, NSW on 24 Apr 1863, he was 41. The cause of death was shown as epilepsy. On 8 Jun 1850 when Prosper John was 28, he married Janetta Louisa Isobel MORISSET, daughter of James Thomas MORISSET & Emily Louisa VAUX, in Trinity Church, Kelso, NSW. She was born in 1826 in Ryde, Isle of Wight, England. Janetta Louisa Isobel died in Ashley St., Chatswood, Sydney, NSW on 27 Nov 1918, she was 92. She was buried on 29 Nov 1918 in the Presbyterian Section, Gore Hill Cemetery, Sydney, NSW. Prosper's death left Janetta a widow at 37 years of age with a very young family to raise. Prosper Morisset was 12 years old, Emily 11, Mary Ann Eva 9, Kate Hope 4, and Mabel Faith was only 11 months. 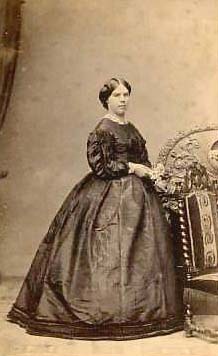 Janetta remarried in 1864 to Thomas Morton Richards, Solicitor of Cambewarra. Janetta and her family moved to the Richards home "Barfield" at Cambewarra. Thomas and Janetta had a son William Morisset Richards b. 10 Aug 1865. Prosper lived and worked on the property at Terara. He and his brothers were involved in a number of projects but all enjoyed horse racing and breeding of fine racehorses. The Shoalhaven Jockey Club was formed in June 1858 and Prosper was elected Treasurer. When his mother Mary Ann de Mestre died her will left part of the Estate to Prosper John. This was known as "Mill Bank"which comprised of 82 acres. This was the Dwelling House, Steam Mill and other premises which were already occupied by Prosper John. "Millbank House" was later purchased by Dr Thomas Pickburn. The property partnership between the brothers Etienne and Andre was dissolved in 1870. 2.Andre Cottrell DE MESTRE. Born on 3 Sep 1823 on board ship on the way from the USA to Australia. Andre Cottrell died in Crookhaven, Nowra, NSW on 12 Dec 1917, he was 94. he was buried on 16 Dec 1917 in Nowra Cemetery, Nowra, NSW. he was a Land Owner, Vintner, and JP. On 9 Sep 1864 when Andre Cottrell was 41, he married Augusta NOICE, daughter of Charles NOICE & Eliza Frances BOGG, in St Johns Darlinghurst,Sydney, NSW. She was born on 4 Jun 1843 in Stepney, Middlesex, London, England, and christened on 24 Aug 1845 in Stepney St. Dunstan, Middlesex, England. Augusta died in Wollongong, NSW on 17 Sep 1930, she was 87. She was buried on 18 Sep 1930 in Nowra, NSW. As Andre's father, Prosoer, had been educated in Philadelphia, USA,it was decided that Andre should also be educated in the United States. Accordingly this was arranged and the American Consul for New South Wales, James Hartwell Williams, (his the future brother-in-law) wrote to his uncle, Reuel Williams (Democrate member of Maine's legislature) "A son of a Mr de Mestre of this place will proceed to the United States by the "Grotius" with the intention of going to College there - Mr. de Mestre is an American and resided here for 20 years and has accumulated a respectable fortune - The son will be very far removed from his parents as well as from any one else who will feel an interest in him and he may at some time require your counsel which I trust you will afford him for my sake as much as his own - The kindness of his parents to me has been indeed very great." Andre left Sydney on the 31st July 1842 on the "Grotius" bound for Boston. Andre was prepared for college at Mr. Weld's school at Jamaica Plains and entered Harvard in September 1844 as a Freshman. A Faculty Meeting of the 9th December 1844 recorded that Andre de Mestre matriculated in Theoretical Mathematics. Andre left for home on the 23rd July 1845 upon being notified of the death of his father. In 1848 Andre returned to America and was admitted into the Freshman Class on probation, 218, to recite in the second division, 226 and matriculated, 232. He spent some years in America, and upon completing his education he had considerable experience in the South American lumber trade, in which he is reported to have had charge of a number of vessels. During his time in America he is thought to have visited his grandmother, Helene Cottrel who had married Joseph Coulon in Philadelphia in 1803. Upon his return to Australia Andre returned to the Shoalhaven and was appointed to the honorary magistracy in 1857. When his mother, Mary Ann de Mestre died in 1861 Andre shared the family property in the Shoalhaven, called Terara, with a younger brother, Etienne. In 1870 Andre sold his share of the Terara Estate to Etienne and moved to Warra Warra (also known as Berung) and there he established a vineyard on crown Land of 1200 acres which he acquired. It was still only a mile or two from Terara House. This vineyard apparently became a very profitable business. According to the Will declared by Andre de Mestre in 1886 he was described as a Mill Proprietor. Andre died in his sleep at Crockhaven on 15th December 1917 (aged 94 years) being at the time the oldest Justice of the Peace in New South Wales, and was buried in the Nowra Cemetery. (Thanks to Shirley O'Donovan for this information). 3.Helen Mary DE MESTRE. Born on 23 Jun 1825 in George St., Sydney, NSW. 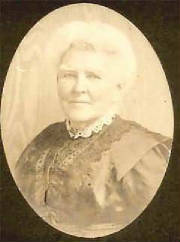 Helen Mary died in St Leonards, Sydney, NSW on 12 May 1907, she was 81. Buried in St Thomas C/E, North Sydney. On 10 Dec 1850 when Helen Mary was 25, she married James Hartwell WILLIAMS, son of Capt Hartwell WILLIAMS & Sarah BRIDGE, in Shaolhaven C/E, near Terara, Shoalhaven, NSW. He was born on 22 Jun 1809 in Dresden, Maine, USA. 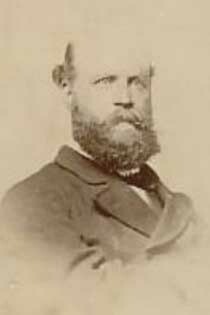 James Hartwell died in Fitzroy St., St Leonards, Sydney, NSW on 31 Dec 1881, he was 72. he was the US Consul of NSW. They are both buried at St Thomas Cemetery, North Sydney, NSW. ii. Prosper Orleans, married Florence Mary Milson, with issue (1855-1908)Their children included Sir Dudley Williams. Florence Mary Milson was the sister of Alfred George Milson, who married Blanche de Mestre Lord, daughter of Edward Lord and Lucy Hyde. Their father was James Milson. 4.SARAH LOUISA Born on 28 Jun 1827 in George St., Sydney, NSW. On 24 Feb 1857 when Sarah Louisa was 29, she first married William Hood WASON, son of Edmund WASON & Sarah, in St Johns Church, Terrara, NSW. He was born in 1830 in Bristol, England. William Hood died in Bayswater, London, England on 1 Jan 1870, he was 40. In Dec 1873 when Sarah Louisa was 46, she second married Sir George NOTT, in Hanover Square, London, England. General. He died March 1874 in Hanover Square, London, England. 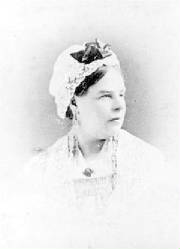 Sarah Louisa loooked after Mary Ann Hart's two youngest daughters in England after William H S Hart had died in 1868, and Mary Ann had returned to India to marry Samuel Brown Home in 1870. In later years Sarah Nott lived in Kensington, London. 4. Melanie Isabella DE MESTRE. Born on 14 Aug 1829 in George St., Sydney, NSW. Melanie Isabella died at "Orana", Lindfield, Sydney, NSW on 18 Jun 1925, she was 95. She was buried in Rookwood Cemetery. On 15 Nov 1854 when Melanie Isabella was 25, she married William Makepeace LOVEGROVE, son of Charles Washington LOVEGROVE & Gertrude MOENS, at "Terrara", Shoalhaven River, NSW. He was born about 1830 in Tulse Hill, Surrey, England. William Makepeace died in "Wongandul", Warren Rd, Marrickville, Sydney, NSW on 15 Jan 1906, he was 76. He was a Government Official at Shoalhaven. He was buried in Rookwood Cemetery. 6.Etienne Livingstone DE MESTRE. Born on 9 Apr 1832 in George St., Sydney, NSW. Etienne Livingstone died in "Mount Valdemar", Sutton Forest, NSW on 22 Oct 1916, he was 84. He was buried in C/E Cemetry, Moss Vale, NSW. Etienne was a Race Horse Owner And Trainer. On 27 Dec 1873 when Etienne Livingstone was 41, he married Clara Eliza ROWE, daughter of George Taylor ROWE & Phoebe MELVILLE, in St Matthias Church, Paddington, NSW. She was born in 1852 in Wollombi, NSW. Clara Eliza died in Moss Vale, NSW on 7 May 1934, she was 82, and was buried in C/E Cemetery, Moss Vale, NSW. Etienne became heavily involved in horse racing and he trained many champion race horses, he was also an amateur rider and established a race track on the property. Etienne trained and raced "Archer" the winner of the first two Melbourne Cups. Etienne had many setbacks with his racing and other properties he had invested in and in 1883 the auctioneers moved in on Terrara. All proceeds went to cover Etienne's mortages. In 1886 Terrara Estate was purchased by Hugh Mackenzie of Bundanon for 40,000 pounds. 7.Mary Ann DE MESTRE. Born on 2 Oct 1834 in George St., Sydney, NSW. Mary Ann died at 3 Lisgar Terrace, Fulham, London, England on 20 Dec 1925, she was 91. On 20 Aug 1856 when Mary Ann was 21, she first married William Hamilton Shirriff HART, son of Thomas Frederick HART & Laura Frances MACDONALD, in St John's C/E, Terara, NSW. He was born on 20 Jun 1832 in Marylebone, London, England. William Hamilton Shirriff died in 68 George St., Edinburgh, Scotland on 26 Mar 1868, he was 35. He was a Captain in the 105th regiment. 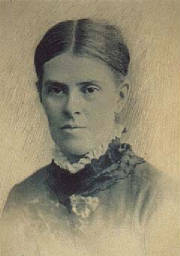 On 21 Feb 1870 when Mary Ann was 35, she second married Samuel Brown HOME, in Bombay, India. Samuel Brown died on 30 Jun 1901. He was a Colonel in the Madras Native Infantry. 8.Katherine Dorothy DE MESTRE. Born on 2 Dec 1836 in Liverpool St., Sydney, NSW. Katherine Dorothy died at "Liryclea", Five Dock, Sydney, NSW on 21 Jul 1905, she was 68. She was buried at St Davids Pres., Haberfield, Sydney, NSW. On 14 Mar 1861 when Katherine Dorothy was 24, she married David RAMSAY, son of David RAMSAY M.D. & Sarah Ann LORD, at Fort St., Sydney, NSW. He was born on 9 Mar 1832 at "Dobroyde", Petersham, Sydney, NSW., and christened on 5 April 1832 in Scots Church, Sydney, NSW. David died at "Liryclea", Five Dock, Sydney, NSW on 28 Dec 1901, he was 69. He was buried at St Davids Pres., Haberfield, Sydney, NSW. He attended Mr Capes School, and was a Gentleman farmer. 9.Louisa Jane DE MESTRE. Born on 1 Sep 1839 in Liverpool St., Sydney, NSW. In 1861 when Louisa Jane was 21, she married John HUTCHISON, in Sydney, NSW. He was a Captain in the Royal Navy. He was born about 1827. John died in North Adelaide, SA on 9 Jul 1869, he was 42. 10.Annette Marland DE MESTRE. Born on 30 Jul 1841 in Liverpool St., Sydney, NSW. Annette Marland died in England on 8 Dec 1936, she was 95. On 30 Nov 1865 when Annette Marland was 24, she married George Penkivel SLADE, son of John SLADE & Mary PENKIVIL, in Balmain, Sydney, NSW. He was born on 10 Oct 1832 in Yeovil, Somerset, England. 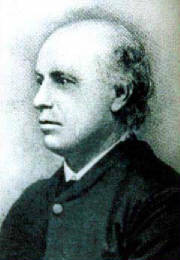 George Penkivel died in 1896, he was 63. He was a Solicitor.